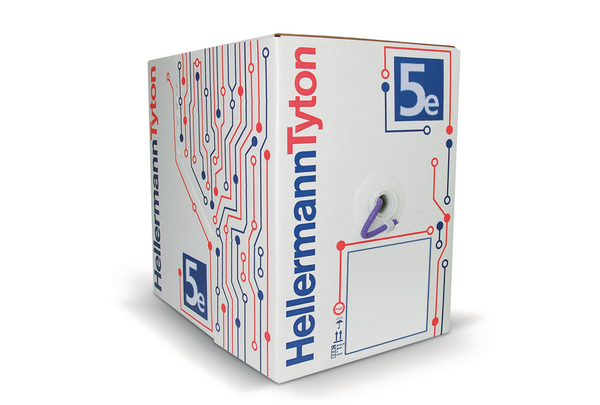 Product Description This is an external grade Category 5e cable which benefits from a heat and UV resistant Polyethylene jacket and is only suitable for outdoor use. 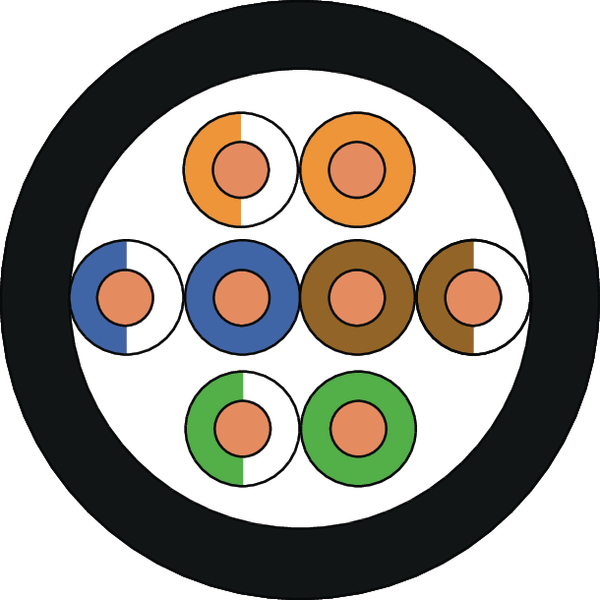 Technical Description The Category 5e Cable is constructed as a U/UTP Cable and exceeds the relevant performance requirements of ISO/IEC 11801-2 and TIA/ANSI 568-C.2 EN50173, IEC 61156-5, EN 50288-10-1. The PE sheath conforms with fire rating IEC 60332-1. The copper conductor is AWG 24 and the cable has an nominal overall diameter of 5.0mm This cable complies with the requirements within the Construction Products regulations EN50575:2014+A1:2016 - Power, control and communication cables. Cables for general applications in construction works subject to reaction to fire requirements.